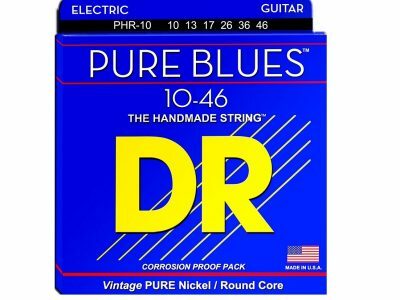 In the DR tradition of using old style construction to improve modern performance, Pure Blues electric guitar strings are designed with pure nickel wrap wire, round wound on round cores. 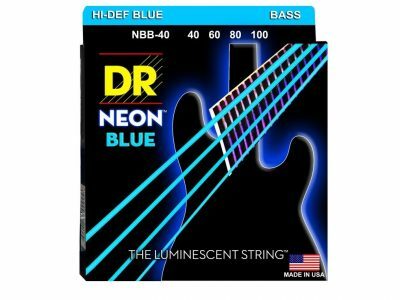 While this is a slow, expensive method of string making, it does produce a string acclaimed for increased sustain, vintage tone and great low tones for playing rhythm to lead. 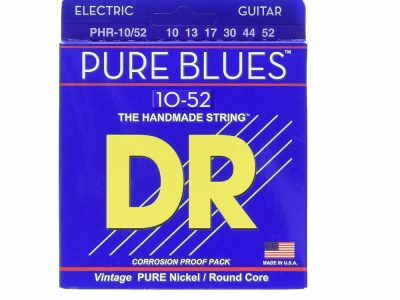 The extra step of winding pure nickel around a round core gives the Pure Blues a punch that players say they are surprised to get in a vintage style string. 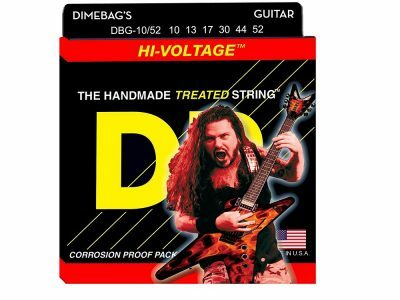 Totally Real Vintage String. 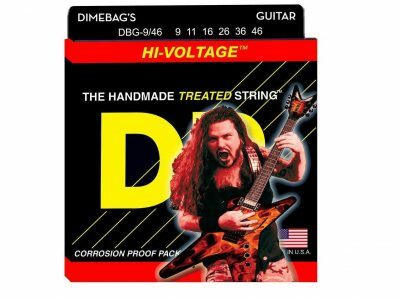 Pure Nickel. 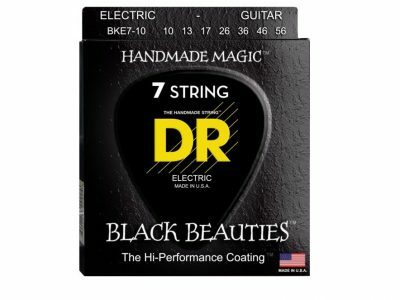 Round Core Wire with Ball End. 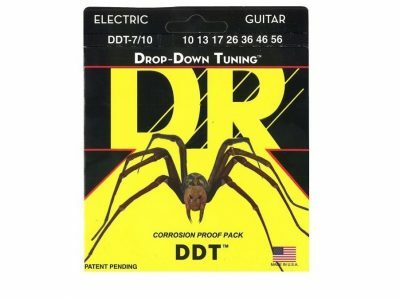 A real vintage string. 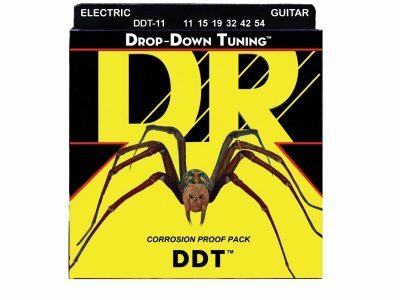 Acclaimed for increased sustain, vintage tone and great low tones for playing rhythm to lead.